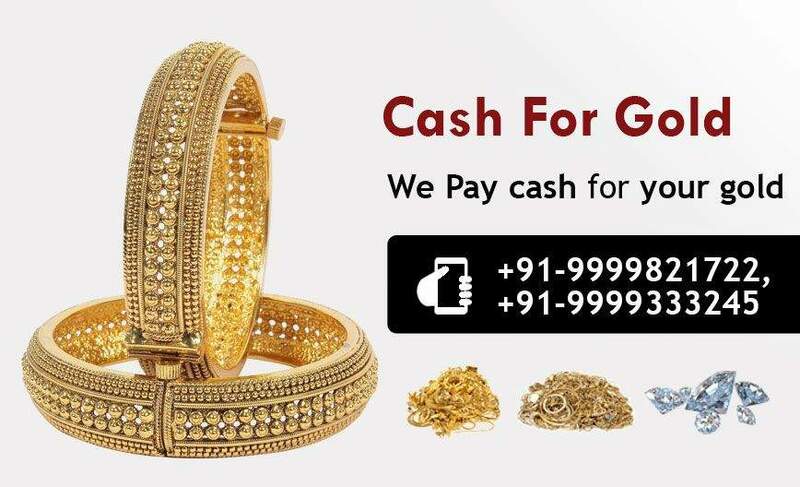 Our company, cash for gold is a well-known name in Delhi NCR when it comes to buying Gold, Silver, Zodiac Stones, Diamonds, Jewellery and Coins. Recently, cash for gold has also moved into gold loan settlement which has become immensely popular among the people. We buy everything that's made up of Gold, Silver or Diamond and give instant cash on the spot. What makes us the first preferred choice is that customers are guaranteed of getting the best price for Cash for gold in Delhi and even for the other items that we are buying. People searching for Gold jewellery buyer Noida choose us because they are guaranteed of getting the best price. Our team of vastly experienced & talented professionals have been trained on the modern methods of jewellery evaluation. They have huge experience in jewellery buying and use internationally approved methods for jewellery evaluation. We here at cash for gold in Delhi remunerate the highest amount for your used jewellery. Here at cash for gold, you can expect transparency and genuine evaluation.If you want to sell your gold for cash or exchange gold for cashthen cash for gold is just the perfect location for you. Some of the other aspects that have enabled us to move ahead of the others are our certification for quality and truthful methods of jewellery evaluation. The other feature associated with Exchange gold for cash is that the Jewellery evaluation process is fast and is completed in minimum possible time. Further, we also buy all kinds of ornaments that are made from Silver or Diamond and give cash for gold in Delhi NCR instantly. Furthermore,cash for gold is also engaged in buying zodiac stones also better known as Gemstones. Cash for gold always aims to provide great customer service by giving best price for exchange gold for cashetc.We want to provide customers with a delightful experience where they can fulfil their needs for exchange gold for cashwithout any hassle. Further, we here at cash for gold always functionto give the highest possible price for cash for gold in Delhi NCR. We here at Cash for Gold Delhi NCR have set the milestone to open more than 300 and more branches across India in the near future.Our company, cash for gold, aims to become the leading Gold jewellery buyer Noida NCR in next few years. Our management team plans to take the customer experience in cash for gold in Delhi NCR to next level where they can get superb value for their bars, coins and jewellery investment than what is being given by the other competitors. Our philosophy at cash for gold is to make the gold, silver or diamond selling process extremely simple and a world-class experience. We understand that customers invest in precious metals for getting amazing returns. You can sell your gold for cash with us and we assure you of getting the best price.